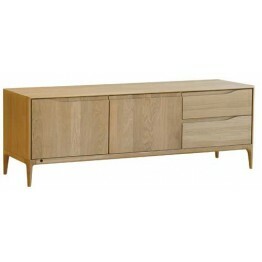 Ercol 2655 Romana Wide IR TV Unit (Infra Red). 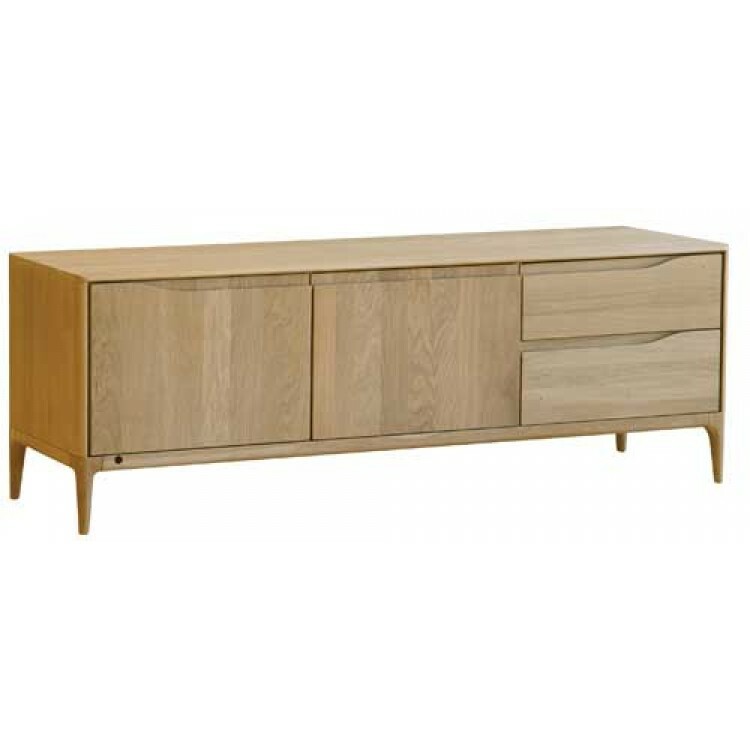 Made of Oak with a softer styling than many this is a supremely functional piece of furniture. 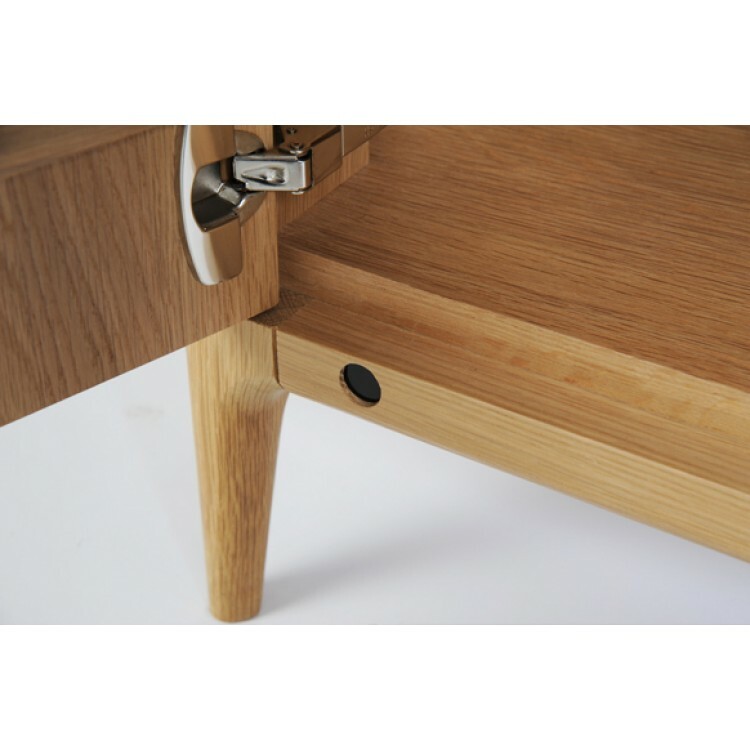 Double cupboards to the left with adjustable shelves and a soft close door mechanisms, as well as a magic eye Infra Red system which hides behind the door. 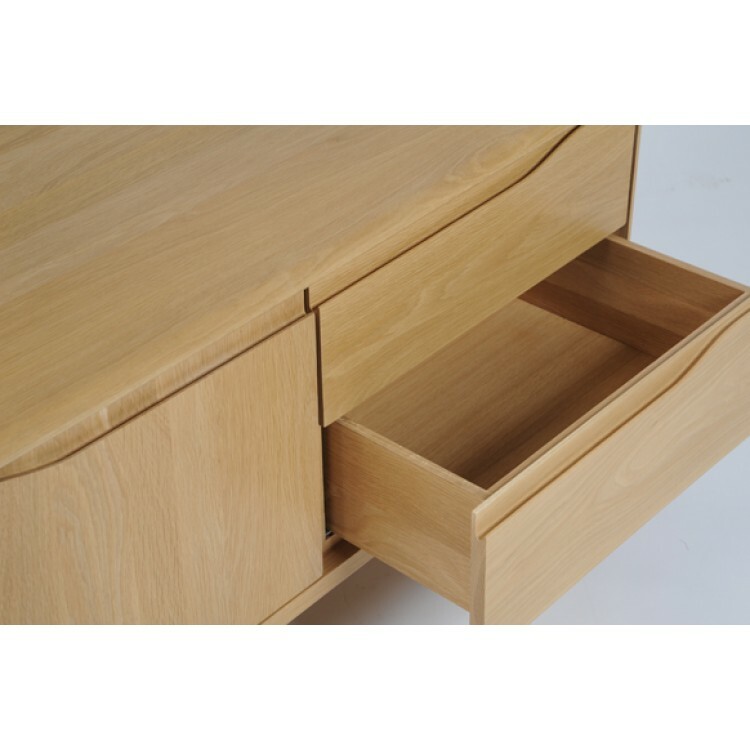 Then two drawers on the right hand side for storage of DVDs, CDs, Video Games, Remote controls or whatever else you wish. 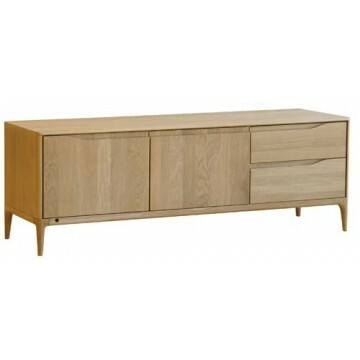 Ercol 2655 Romana Wide IR TV Unit (Infra Red) Dimensions.